Shirley Conran once famously said ‘life’s too short to stuff a mushroom’. I know she was talking about prioritising your time and I imagine she’s heartily sick of this quote but honestly, how long does it take? 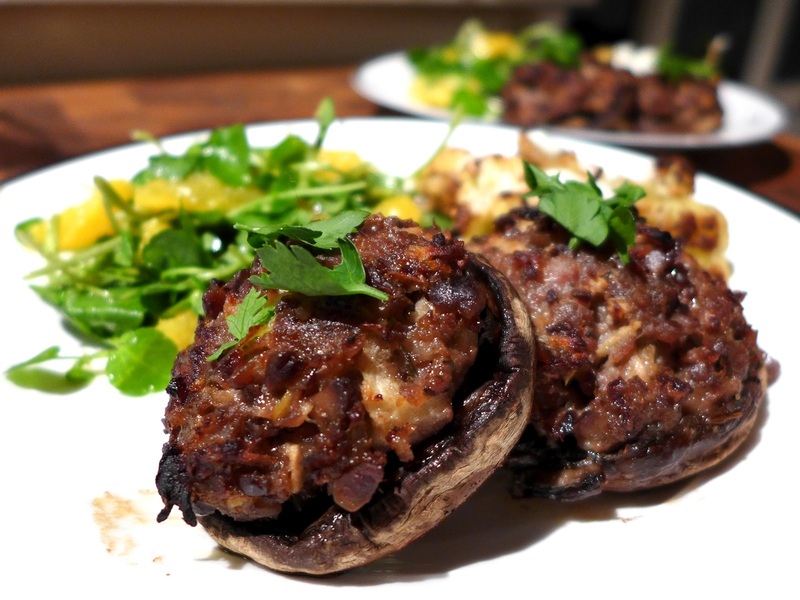 Personally I’m rather partial to a stuffed mushroom so I didn’t begrudge the 20 minutes or so it took to assemble these (and most of that was taken up by frying the onions). Another 25 minutes in the oven and supper was ready. This was partly because I used vac-packed chestnuts rather than cooking and peeling my own. They might not taste quite the same but my goodness, they make life easier. I once made the gargantuan mistake of allowing cooked chestnuts to cool before peeling them. It took four of us the best part of an hour. The filling is based on an 18th century Hannah Glasse receipt for pork and chestnut stuffing that I make every Christmas to eat with the turkey, when I double the quantities and add the chopped liver from the bird with a handful of breadcrumbs. But made to the following recipe it makes a good stuffing for big open-cap mushrooms, just the job for an autumn evening. Pre-heat oven to 200C/400F/Gas Mark 6. Heat a splash of oil in a pan and fry the onion until soft and golden. Add the chopped mushroom stalks and fry for another minute or two. Place in a large bowl. Chop the chestnuts quite small without reducing them to a powder. Add to the onion bowl with the sausage meat and grate in the apple. Add the herbs and mix well. Season generously. 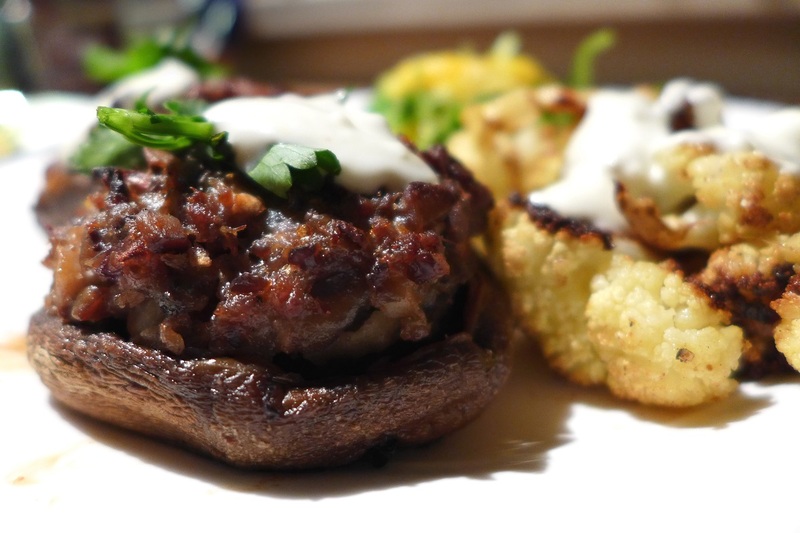 Put a heaped tablespoon of the stuffing into each mushroom cap and drizzle with oil. Place on a lightly oiled baking tray and cook in the oven for about 25 minutes. Meanwhile, make the yoghurt sauce: whisk 150g of yoghurt, 2 fat crushed garlic cloves and a slug of olive oil and season to taste. Loosen with a squeeze of lemon juice and a little water until it’s just thin enough to trickle. When the mushrooms are done, remove from the oven, baste with the pan juices and serve drizzled with the garlic sauce and garnished with parsley. *If you’d like to try the roasted cauliflower I mentioned, break it into florets and toss it with a little ras el hanout and oil, salt and pepper and cook it in a tray alongside the mushrooms. 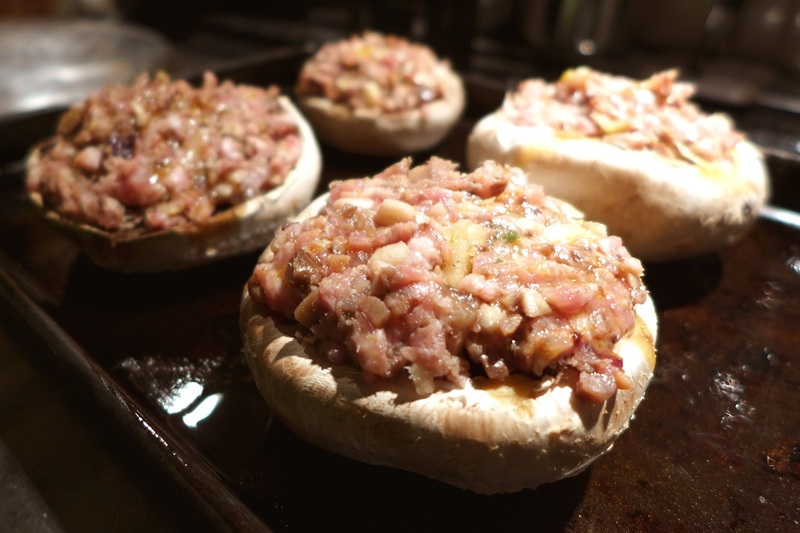 This entry was posted in Mains, Pork, ham and bacon, Vegetables and salads and tagged mushrooms stuffed with pork and chestnuts, stuffed mushrooms by Linda Duffin. Bookmark the permalink. Don’t those look delicious? And I’m so with you. Fresh chestnuts are good, but what a pain in the you know what. Thanks, Michelle. I think fresh chestnuts have a better texture but yes, these save a world of work. Only an hour to peel chestnuts? You’re quite a whizz then! 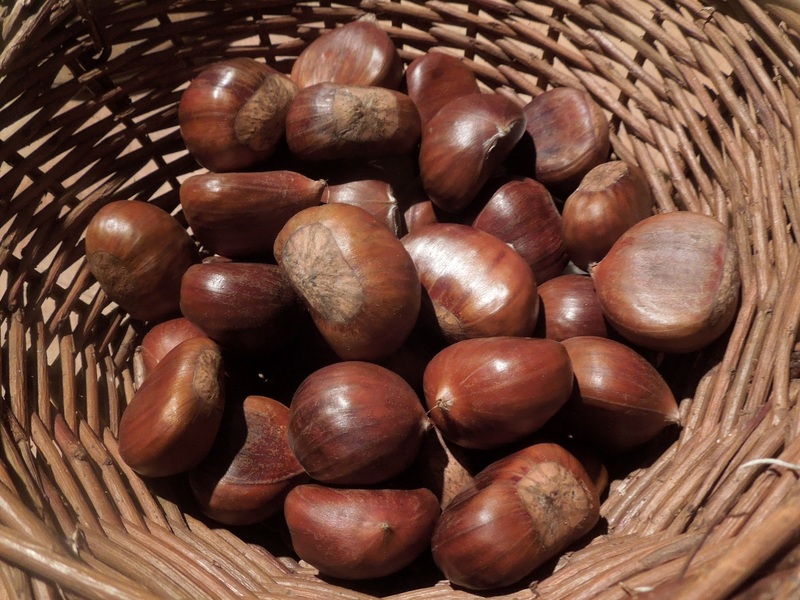 One of the foraging pleasures I gave up quite soon in France was hunting for chestnuts. Life is not too short to stuff a mushroom, but it’s definitely not long enough to peel chestnuts. Vacuum packs rule. I’ll try your recipe. Thanks, Margaret, hope you like it. Yes, just an hour (give or take) but there were four of us! I’ll never make that particular mistake again.